One of the most overlooked parts of any move is protecting your walls, furniture and flooring. 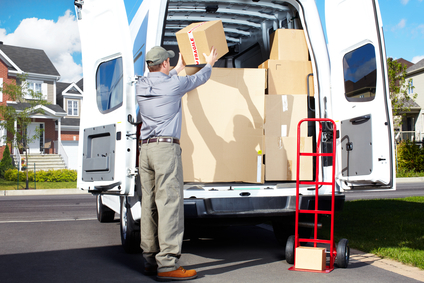 If any of these items or fixtures are damaged or broken during the move, your moving costs will quickly escalate. As the premier movers in Kamloops, here are some tips on how to protect your floors and carpeting during the move. This may be more common sense than a tip, but most floors are damaged, scratched or broken because heavy items are dragged or dropped on the flooring. If you are moving large or cumbersome items, use a dolly with wheels or use rubber sliders. You can also use a professional moving company that has experience moving heavy furniture and can maneuver these items through your house without damaging or scratching the floors. Cover furniture with a thick blanket. This will act as a buffer against any sharp edges that may come in contact with your walls during the moving process. The furniture blanket will also act as a barrier between heavy items and the floor, in case of an accidental drop. Light enough that they can be easily moved and carried up and down stairs. Sturdy and intact – do not use boxes that are torn or have been damaged as they may fall apart at the worst time causing unforeseen damage to contents and floors or walls. As an added precaution, reinforce your moving boxes with packing tape. This added protection will prevent any unwanted spills from occurring. Furniture sliders can help you move the heaviest of furniture across any type of flooring without damage. High quality sliders are made of a hard plastic or rubber and minimize the friction between the object and the floor. This will allow you to slide your furniture with ease across even the most delicate of floors. Rubber wheeled dollies make any move that much easier. Make sure to use a dolly with non-marking rubber wheels, so you can wheel out the heaviest of items without any worry about damaging or leaving scuffs on your floors. The best way to ensure a damage and stress-free move is to hire professional movers. Well-trained movers know how to avoid damaging floors or walls and have the knowledge and skills to effectively and efficiently move all your belongings safely. At Pioneer Moving, we offer competitive pricing and free estimates for your local, provincial and even long-distance moves. We have over 16 years of experience and our attention to detail combined with our professional, friendly customer service have made us Kamloops’ premier moving service. If you would like any more information about our services, please contact us today.